It’s the beginning of a new year, with new creations and new possibilities. The whole year is stretching out before us with millions of possible paths. It’s exciting, it’s terrifying. 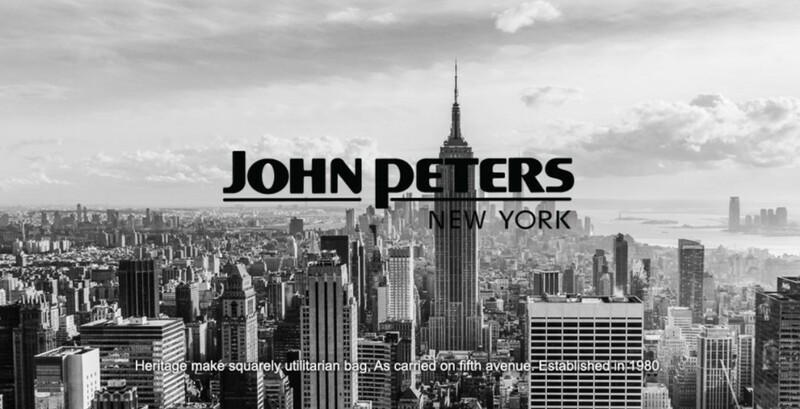 It is for all those reasons that we at John Peters New York decided to release our new models this month. There’s no better time to create and introduce new creations, and we are pretty confident that you’ll want these new designs for your own new year’s plans! Today I’d like to introduce two new backpack models, the 7005 and the 7010. Like all John Peters New York backpacks, they are great as student backpacks. Both packs are large-sized and have multiple compartments and add-ons. Fill them to the brink and use for traveling, especially the 7010. With its three tiers of front pouches and standing a full twenty inches tall, the John Peters New York 7010 is equally good for serious students and travelers. Special features include a 15 inch laptop compartment and a side zipper to remove the laptop without having to dig through the whole pack, but my favorite thing is that the back is ergonomically designed to protect your back even when carrying very heavy loads. The John Peters New York 7005 is equally versatile. It boasts two separate main inner compartments along with a large outer pocket in a different color, giving the bag a striking visual. This front pocket is outfitted with small pockets for organizing your small items, such as phones, wallets, pens, etc. The lower pouch gives even more space, and the buckles can carry blankets or other clothes for trekking or short trips. Both new models, the 7005 and 7010, are exactly what you’d expect from John Peters New York: squarely utilitarian, solidly-made, well-designed bags that will take you as far as your dreams and beyond. We are delighted with their new features and the small details that make these bags extraordinary, such as the 7010’s ergonomic back and the 7005’s superior inner organization. Check out both new models on our website — the 7005 and the 7010 — and, especially now at the beginning of the year, go dream! John Peters New York new designs! Share the post "John Peters New York: New Designs for a New Year"
Posted in Fashion Review and tagged big backpacks for college, big backpacks for school, John Peters New York, john peters student backpacks, school backpacks, student backpacks, traveling backpacks, trekking backpacks. Bookmark the permalink. That is one sleek urban design. I’d hotsenly feel like Jason Bourne wearing that. Mind you, I’d have far less drive and purpose than he had in the movies, but at least it would make me feel like I was going somewhere hyper cool that day.